This errant Knight will be remembering those who served when I'm served a free Pint at Old Chicago during their "I Want Brew" promotion for veterans. 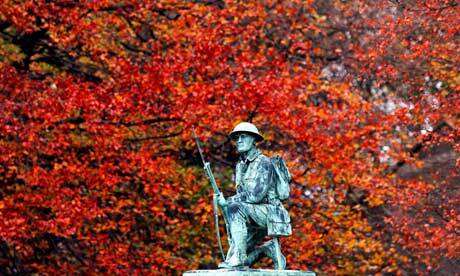 Armistice Day saw the legal end to World War I on November 11, 1918. Two soldiers from opposing sides crawled out of their trenches on that memorable day...my Grandfather, Private John T Baker...and Corporal Adolf Hitler. John T would return home to marry Edna and guarantee that I would see the light of day. Adolph returned to Germany to sow the seeds for the next great war. The UK has already observed this day several hours ago, when they traditionally mark the event with a moment of silence at precisely 11 a.m. Their sacrifice was particularly painful in losing almost a whole generation of young men during the war. Read More About "Britain Goes Silent." So, wherever you are this memorable day at 11 a.m. Take a moment to thank those who served their countries in the ultimate way. 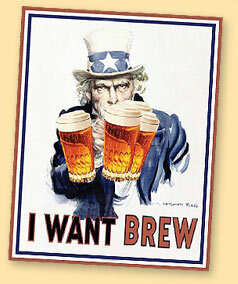 Heres a belated toast brother knight....to both our late fathers who served their country well in WWII. Rest in Peace and know we appreciate the freedoms we have today for all those who laid down their lives for this country....and to all living sevicepeople today. Thank you for all your sacrifices! !